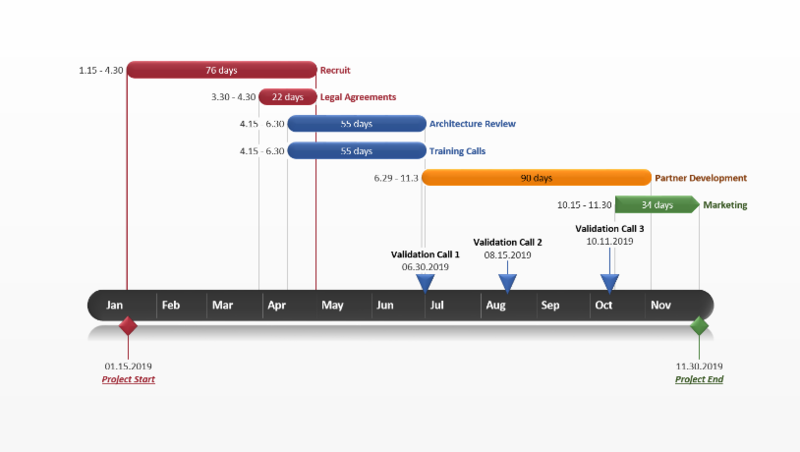 This free hourly Gantt chart was created as a simpler option for project managers and business planners who need to present schedules, plans, status reports and other project data in small time increments. Schedules are typically made for medium or long-term plans, however, some projects require a detailed breakdown of daily tasks. For this level of detail or for granular planning under 24 hours, a Gantt chart in hours is required. 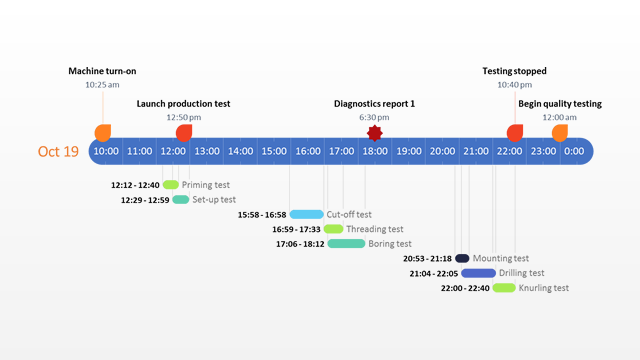 This hourly Gantt chart was created to plan, track and communicate the important details and short-duration tasks that need to be achieved. 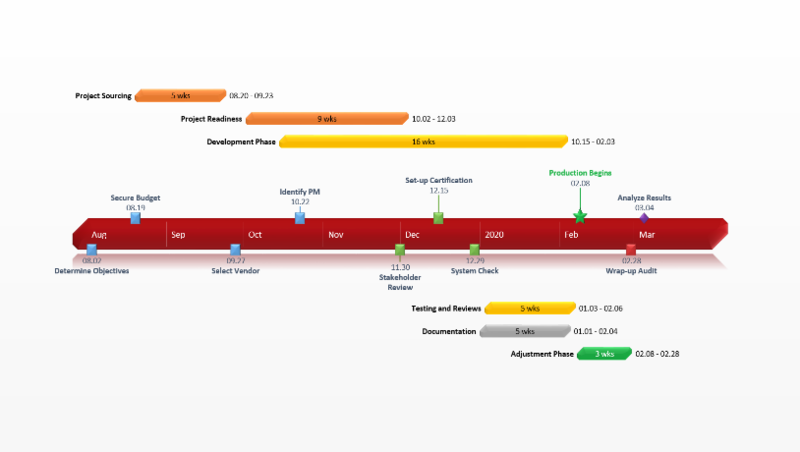 The hourly Gantt chart template was created in PowerPoint to provide professionals a simpler, more familiar way of communicating with staff, clients and executives. 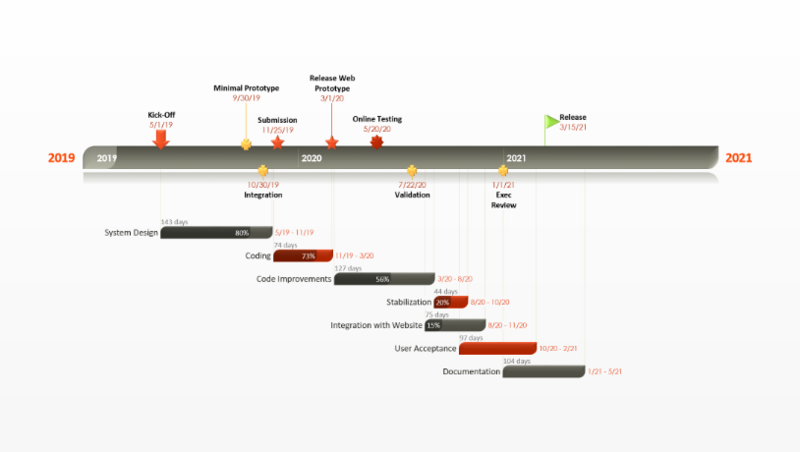 Creating hourly Gantt charts with alternative tools can be difficult and complex. Project Management tools treat short-duration tasks as milestones, and building a Gantt chart by hours in Excel is difficult. 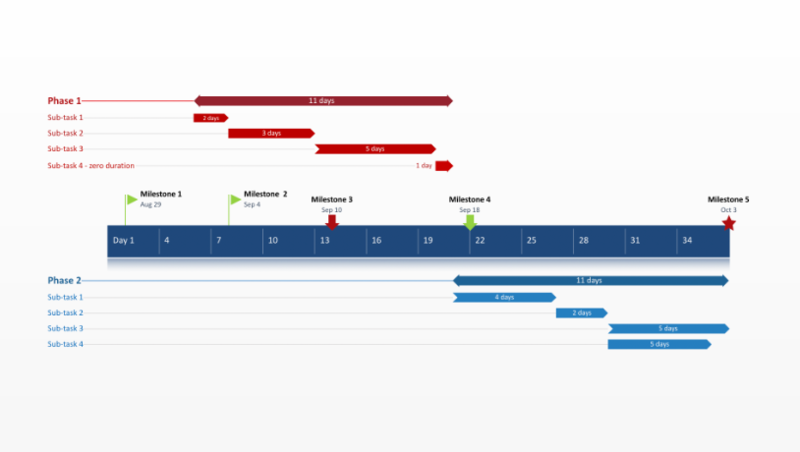 Use this free hourly Gantt chart slide to quickly create an impressive timeline with hours or minutes as time intervals instead of days, weeks or months. The template was designed to simplify the communication of data to non-project audiences, through easy to understand, attention-grabbing visuals. Clients and high-level management may find it difficult to follow complex graphics found in traditional project management charts. The hourly Gantt chart template has a simple, straightforward design that is quick for audiences to grasp and which presents data in a convincing, professional manner. Clients and executives, who are accustomed to working with PowerPoint and viewing slides, will find the native PowerPoint hourly Gantt chart slide familiar and it will be well received. The template is easily shareable and printable, allowing for more efficient project management communication. Download the free template and manually edit it in PowerPoint or use Office Timeline’s hourly Gantt chart creator for automated customization. Office Timeline plugs into PowerPoint, making it faster and easier to modify the schedule with your own data or to customize the shapes, fonts, and colors to fit your organization’s style. Office Timeline will automatically update the hourly Gantt chart when your schedule changes, or add percentage complete to tasks, change milestone shapes on-the-fly, and make any other design edits you desire.